Quitting smoking is a hard thing to do, but it's an important step in taking charge of your health and reducing your risk of lung cancer and cardiovascular disease. Making a few changes in the foods you eat may help make the process a little easier. Cleaning up an unhealthy diet may seem like an overwhelming task to take on while you're also giving up cigarettes, but since smoking, food cravings, and concurrent habits are fairly common, taking some time to focus on the foods you eat may be a good idea. Essentially, eating a healthy diet means increasing your intake of fruits and vegetables, whole grains, lean protein sources, dairy or other calcium sources, and getting healthy fats from nuts, seeds, and olive oil. It also means cutting back on foods high in fat, sugar, sodium, and calories. Smoking affects your sense of taste and as you go through your smoking cessation program you may find that foods start to taste differently, so this may be a great time to try new, healthy foods to find some things you like. It's not possible to say that eating any one specific food will work like a magical medicine and take away your cravings for a smoke. But, for better or worse, the habits and situations that trigger your desire for smoking are often intertwined with the foods you eat. For example, if you typically start your morning with a habitual cup of coffee, a donut, and a cigarette, switching to herbal tea and toast may soften the trigger a bit. Here are more ideas that may help you feel better or change your focus when you feel the need to reach for a cigarette. Set a regular meal pattern and avoid skipping meals. Feeling hungry may make you feel like reaching for a cigarette, but if you stick to a healthy pattern of three meals and two or three small snacks you can avoid that feeling. A bonus is that it may help you with your weight. Munch on raw carrots or celery. Nibbling on something crunchy will keep your mouth distracted. Plus, since these veggies are low in calories they won't add to the size of your waistline. Don't like carrots or celery? That's okay, go for raw broccoli, cauliflower, or sliced peppers. Add a little lite veggie dip or dressing if you want a little extra flavor. Be prepared with mints or gum and reach for those every time you feel a craving coming on. Make popcorn—but leave off the extra butter. Popcorn is high in fiber and low in calories, plus it keeps your hands busy. 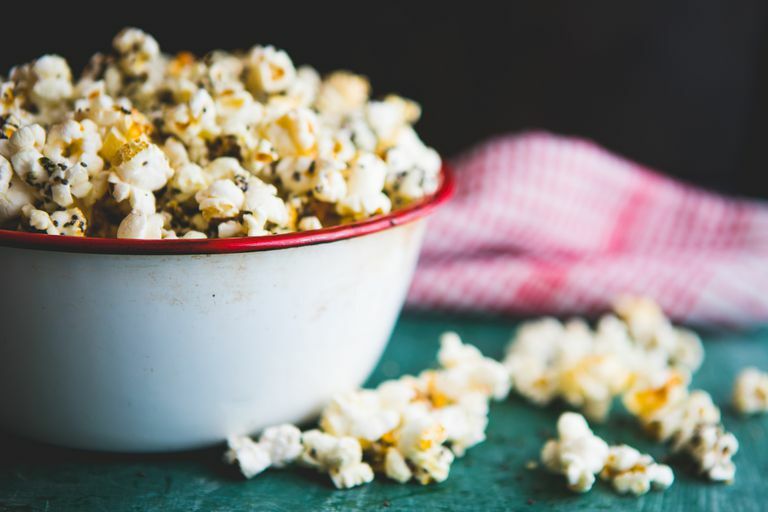 If the popcorn seems bland, try spraying it with a butter-flavored or olive-oil spray and add a blend of herbal seasoning, garlic, and onion powder, or a little red pepper powder. You can also try miso peanut butter popcorn, sweet and salty cocoa berry popcorn, or low-sodium garlic parmesan popcorn. Fresh fruits such as oranges, pears, apples, and bananas are good to have on hand if you have a bit of a sweet tooth. They're sweet but they're also high in vitamins, antioxidants, and fiber. That's important because antioxidants and vitamin C are depleted by smoking. Your body is going to go through some changes while you adjust to a life without cigarettes. One of those changes may be an increase in your appetite. While you want to increase your intake of healthy foods, you may need to watch your caloric intake so the extra pounds don't pile up. All the suggestions made here are good for weight watching, but in addition, you may find it helpful to keep zero-calorie gum, mints, and candy in your pocket for when you feel the urge to smoke. Starting a light exercise routine can help, too. Quitting smoking is hard but improving your diet at the same time may help you along your way. Remember, it takes some time to change your older habits into healthy new habits. Don't get down on yourself if you slip up. Take it one day at a time. American Cancer Society. "Quitting Smoking: Help for Cravings and Tough Situations." American Heart Association. "Food and Quitting Smoking." Chao AM, White MA, Grilo CM, Sinha R. Examining the Effects of Cigarette Smoking on Food Cravings and Intake, Depressive Symptoms, and Stress. Eating Behaviors. 2017;24:61-65.